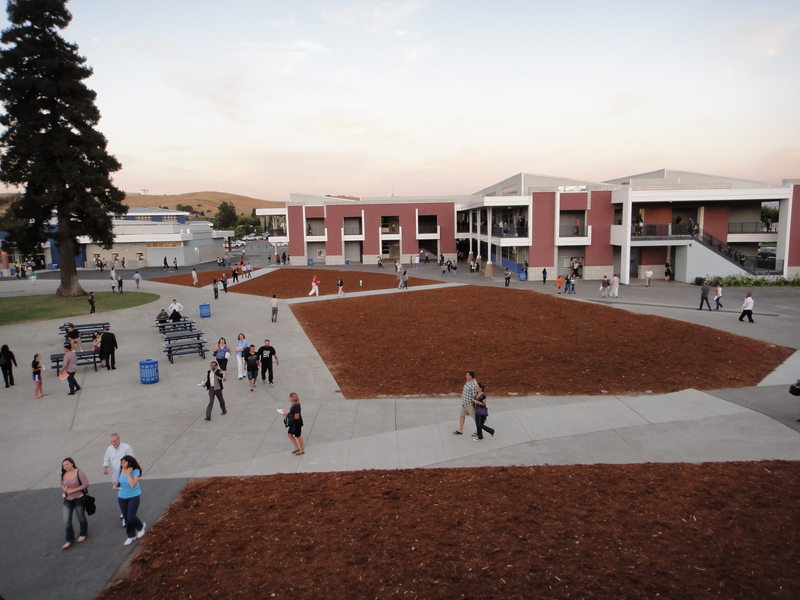 Last Thursday evening, Dublin High School hosted its annual Back to School Night. As it applies to similar events at each and every elementary and middle school site, Back to School nights are an opportunity for families to become more familiar with their respective schools and staff. At Dublin High, however, the parents/guardians in attendance were treated to a momentous event. 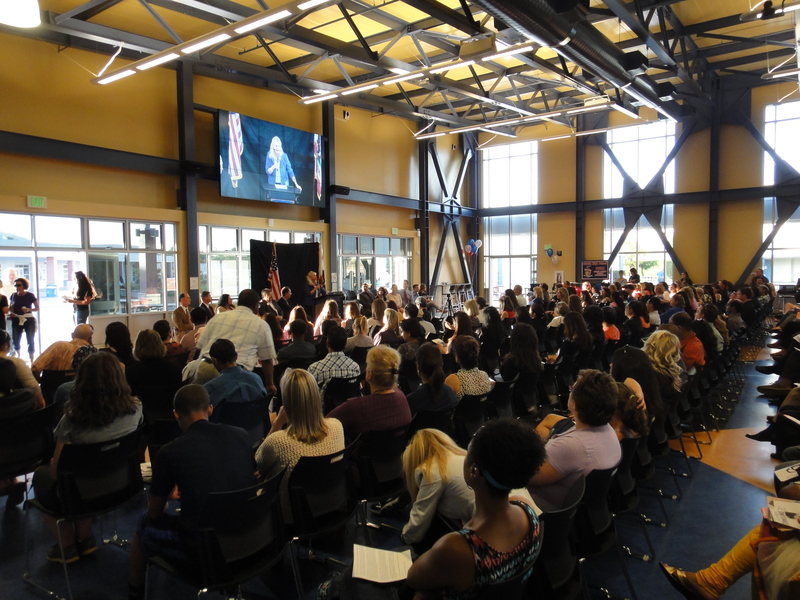 Prior to the general session, a ribbon-cutting ceremony was conducted inside the new Student Union, Culinary Arts and Consumer Family Studies building. 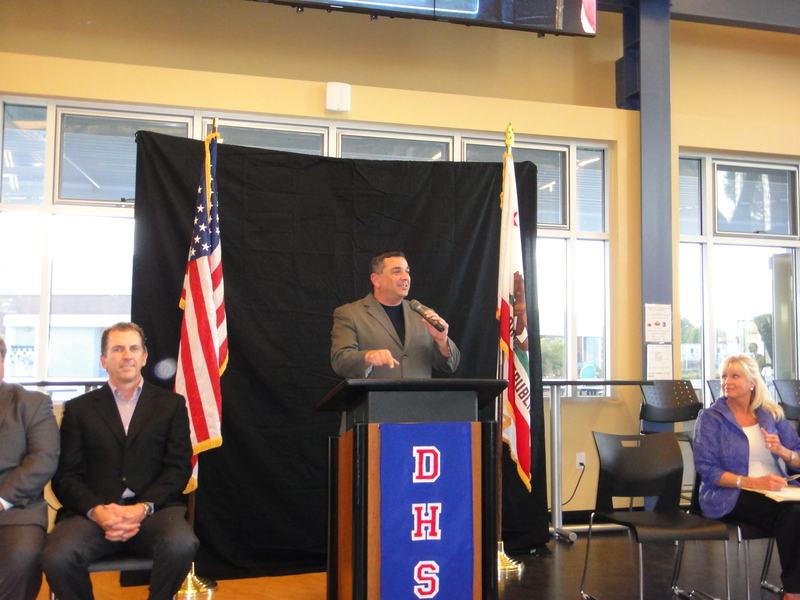 Dublin High teacher and City of Dublin Mayor Tim Sbranti served as the Master of Ceremonies. Following the Pledge of Allegiance, there were brief comments by Student Body Vice President, Luke Legins, Dublin Unified School District Board of Trustees President Greg Tomlinson, Superintendent Dr. Stephen Hanke and Principal Carol Shimizu. 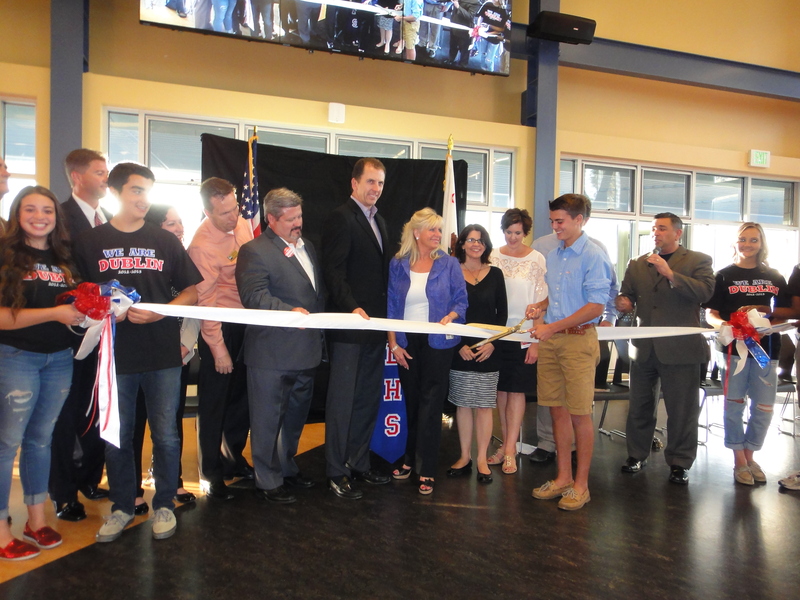 The ceremonial ribbon was then cut and the celebration began. What does this new Student Union represent? One only has to walk about a 100 yards to the north and view the former cafeteria. While serving its purpose for over 40 years, the cafeteria was very utilitarian and felt more like a “mess hall”. The lower ceilings and limited windows are reminiscent of a bygone architectural era. The old cafeteria is now a construction zone, soon to be replaced with a state-of-the-art 500-seat Performing Arts Center. The new Student Union features vaulted ceilings and a wall of windows to the west-facing side, adding an abundance of natural light. The interior circumference is laden with flat screen monitors. The kitchen facility is stocked with commercial-grade appliances. 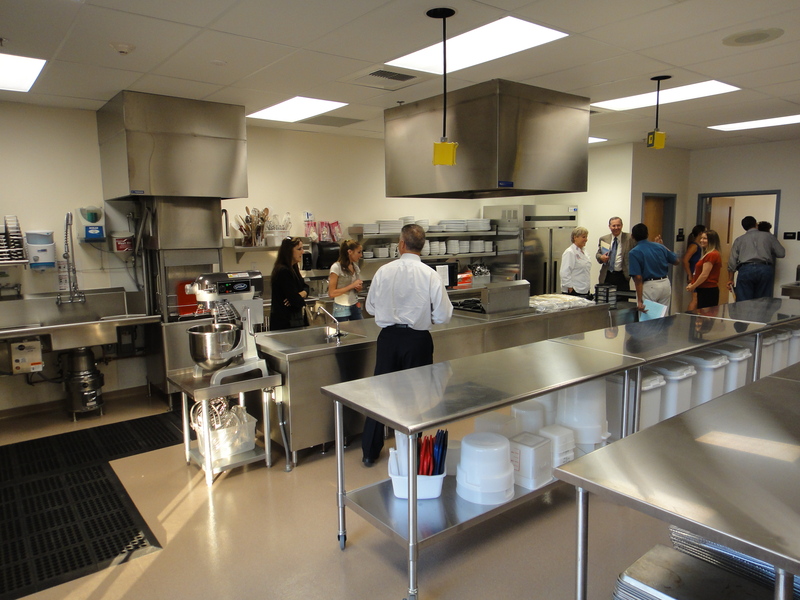 Smartly, the work area is housed directly adjacent to the Culinary Arts and Consumer Family Studies classrooms. 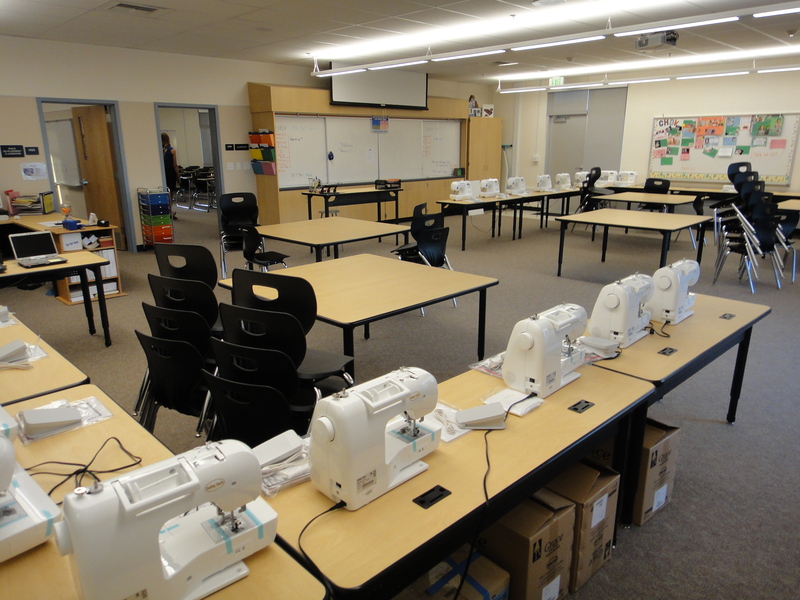 Students in these programs will have access to equipment that is available to those working in the industry. For those that are into numbers, a few facts: The structure is over 21,000 square feet. It can accommodate 500 diners at one time and up to 800 individuals during an assembly. “Café” or high tables were adopted to promote collaboration among students. Additionally, Wi-Fi access is available to up to 500 users at any given time. What the completion of the new Student Union also represents is the “sixth furlong” in a one-mile race. 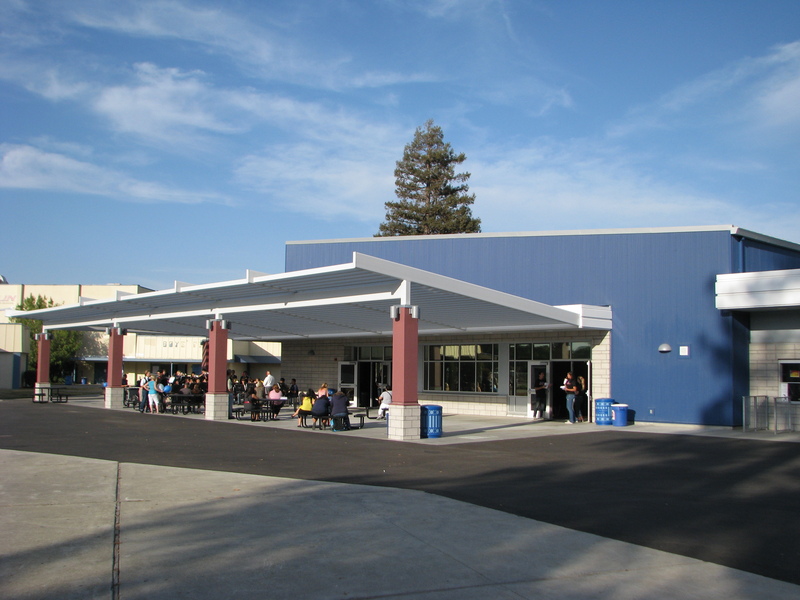 The remaining Measure C funds will be largely devoted to the Performing Arts Center which is due to be completed in early 2014. To gain a more complete perspective on this project, OneDublin.org met with Kim McNeely. 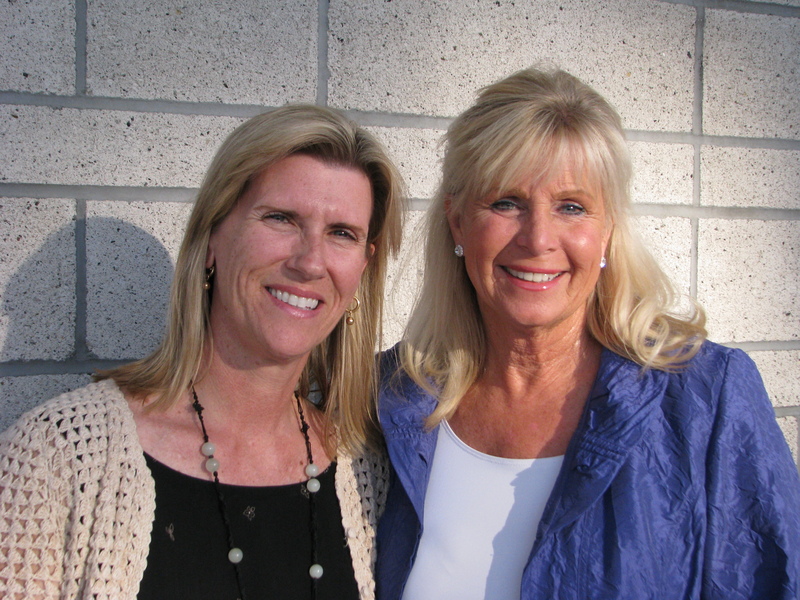 Ms. McNeely is the Dublin Unified School District Director of Facilities and New Construction. OneDublin.org: Has the Student Union met the District’s goals in terms of timeliness and completeness? How? OneDublin.org: Help us understand what energy-saving/green elements that were incorporated into the design and construction. OneDublin.org: Measure C will also provide the foundation for construction of the new Performing Arts project. Any comment on the status of this or any other future project? Based upon our observations last Thursday, Ms. McNeely, DUSD and Dublin High School have earned a blue ribbon for their efforts. It was a great project to work on!